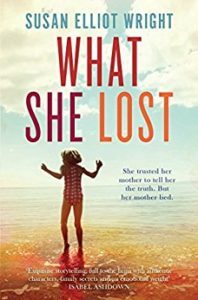 I posted recently about having been to the launch of Susan Elliot Wright’s new book, What She Lost, which you can read about here. I asked Susan if she would write a post for me about her fourth novel and where she got her inspiration from for the as yet unnamed book. Over to Susan…. My thanks to Nicola, both for her lovely recent post on the launch of my third novel, What She Lost, and for inviting me to write a guest post about the novel I’m working on at the moment, my fourth. I don’t have a title yet (I’m rubbish at titles) but hopefully something will come to me soon. I don’t want to give too much away, but I can tell you that the next book is very much in keeping with my usual themes surrounding motherhood – mother love, longing, loss, guilt, and forgiveness. I am endlessly fascinated by new motherhood and its trials as well as its joys. Becoming a mother remains the most profound and astonishing thing that ever happened to me, so all my books tend to have a mother/child storyline in there somewhere. I’ve addressed postnatal depression and even psychosis before, too. I didn’t set out to write about these issues, but like most authors I have my little obsessions and it’s almost impossible to stop these from surfacing in my work, even if they don’t form a central storyline. In the fourth book, my main character, Leah, has an abundance of mother love to give, but she has been plagued by tragedy and it seems she will never have her own child. 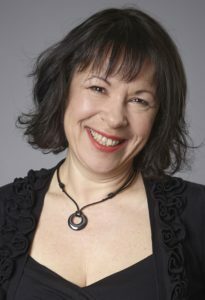 Then one day she discovers a connection to a little boy called Oliver, and sets out to ensure he becomes part of her life. But he is another woman’s child – can it ever be enough? The inspiration came in part from a short story I wrote almost 20 years ago. It was a strange story about an isolated, exhausted new mother who develops a severe postnatal psychosis and becomes fixated on the crows outside her window. 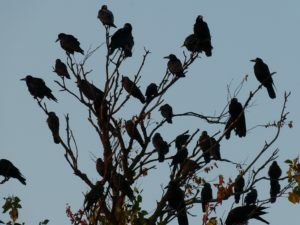 The novel is very different to the short story, although the psychosis still features, as do the crows. But it’s really about the intense desire to be a mother, and the complexities and difficulties of coping with that longed-for role once it’s achieved. She only opens the back door for a moment to let the smoke out, but it is enough time for the creature to walk in, its black, claw-like feet clicking on the tiles. ‘Out!’ She grabs a wooden spoon from the earthenware jar next to the hob and throws it at the crow, jolting her back and missing the crow by a mile. The bird flutters its feathers and caws twice at her before flying back outside. Leah slams the door shut, hands shaking as she turns the key in the lock, and as she takes the burnt toast from under the grill to throw in the bin, she realises her legs are trembling violently. She steadies herself against the work top and concentrates on her breathing until she begins to feel calmer. It isn’t unusual for there to be crows on the grass, or even for them to come up close to the house to peck around the plant pots looking for snails, but they’ve never tried to come inside before. Does this mean she can’t ever leave the back door open again? Her fingers twitch for a cigarette. She reaches for her stick and gets to her feet, wincing with the pain. When her back’s this bad she feels more like eighty-one than forty-one. Most of the time now she can manage without the bloody thing, but her back is stiff today. Throwing that wooden spoon wasn’t clever– she’ll probably be in pain for the rest of the day now. Leaning on the stick, she walks to the other side of the kitchen and switches on the coffee machine, but even that movement, reaching out and pressing the switch, sends a twinge down her spine, through her hip and into her leg. She should have been more careful yesterday, done her physio exercises at lunchtime, or at least taken a walk. The first tutorial was early so she hit the rush-hour, which meant the drive into town took longer than usual, then three tutorials back-to-back before lunch and another two in the afternoon. But it’s not often she has a day like that, and she’s grateful to the University for being so flexible. For having her back at all, really, after all that happened. Susan Elliot Wright grew up in Lewisham in south-east London. Before becoming a full-time writer, she did a number of different jobs, including civil servant, cleaner, dishwasher, journalist, and chef. She has an MA in writing from Sheffield Hallam University, where she is now an associate lecturer, and she lives in Sheffield with her husband. Her latest novel is What She Lost, and she is also the author of The Things We Never Said and the Secrets We Left Behind. I love books about motherhood, they have a special feeling to them. Great guest post! Thank you, Donna. It sound like it’s going to be a great read!